My best friend Jim was a die hard. He rarely quit anything he ever started. Where most of us guys saw the futility in many things, he did not. I had to admire this type of dedication for it was the stuff that men of vision were made of. To begin this tale, I'll throw in some elements of danger - chilling cold, snarling dogs, empty doorbells - and the promise of a future that was never to come. "I know how we can make some real money," cried Jim over the phone in a most excited tone. "We can sell The Grit newspaper door-to-door!" I'll admit the ad looked great: newsboy holding a copy of the heralded publication amidst a background of fabulous toys and prizes that could be earned by peddling throughout the neighborhood. 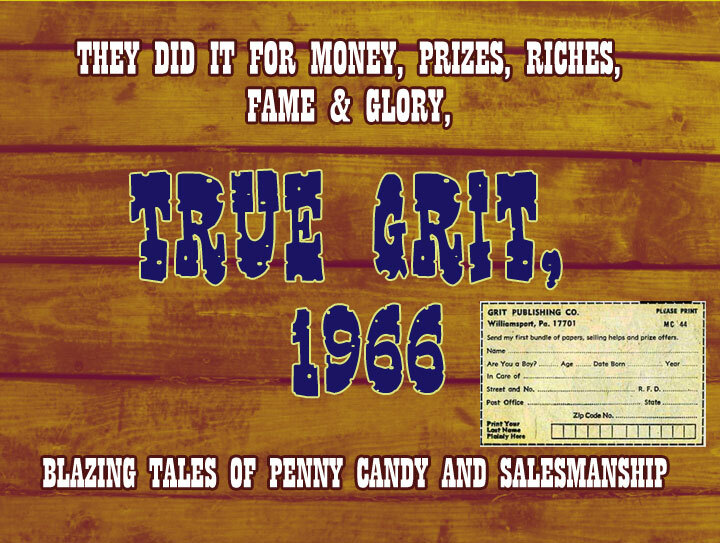 Great bonuses and easy profits appeared to be a lead pipe cinch; all a guy had to do was sell the one paper that nobody in their right mind could live without: The Grit. The ad boasted the following: "Sell a copy for twenty cents, you keep seven cents." For once, those ridiculously stupid times tables we were forced to learn in school may have come in handy at a time like this. If we sold one hundred papers that would be a whole two dollars - no, wait, let's bump that decimal up one point; that would be twenty dollars! What were we waiting for? We needed to get out and sell that thing! My mind began the cash-registering: twenty dollars equals ten dollars apiece; man, we could sell a hundred of these in an hour easily. Why go to school anymore? We were already rich! A true mathematician will note that I conveniently omitted the percentage owing to the Grit folks. I can't tell you how many doorbells we rang, or how many times the words "no thanks" could be uttered with such frequency, diversity of tone, characterization, and dire urgency. It was indeed a "no" world. The Grits weren't getting any lighter, and we'd covered many blocks. Some of the "no's" came in the form of a shaking head, or worse-a door shutting in our faces. It was very cold outside. The movie "Jason and The Argonauts" was going to be on in the afternoon which was only a few short hours away. The day was not getting any warmer, and the streets were not any softer on the feet. "We're not going to make anything on this stupid paper," I said. "We haven't even given it a chance yet, we could still make some good money," Jim argued. Jim could argue a stump into believing it was a lamp shade. However, I had no time for arguing-with stumps-or otherwise. We continued on our fruitless path feeling November snaking down our coat collars while the cold made our ears brittle and our noses run. It was deathly quiet outside; there was no life on the streets whatsoever. Then, something happened that caused a new ripple in the evolutionary scale of our plan: somebody bought one of those stupid newspapers. I suspected that the person bought one out of pity for us. So, there we were, with one sale down. It was time to perfect our sales technique. I'd convinced Jim that we would never sell another with the pitch we were using. Instead of "Hi, would you like to buy a -(door slam)", we needed to up the dialogue. Perhaps something like: "Good afternoon, Ma'am, my, but that dress is certainly sparkling on you. Is your mother at home? What? Oh, you are the mother! But you look so young..." Or maybe: "Good afternoon, Sir. I noticed your beautiful 1966 Catalina in the driveway. Any man, who drives a car that cool, should be reading a newspaper to match. The Grit is the new chic; it's the only read for us guys in the know." (Now that was original sales-pitching; I was on my way to being the next Donald Trump minus comb-over). So, armed with some hot dialogue, we both agreed that I should be the one pitching the sales. I rang a doorbell. A new script was churning in my head like the winter whitecaps at Depot Bay. I heard footsteps approaching the door; a door latch, then finally a woman opened the door. "Uh, hello. Would you like to buy a-No? Oh, okay, thank you." The door shut. What happened? The dialogue was there, I had it down, the 'sparkling dress', the 'beautiful home', the 'manicured lawn', the works, and it all slipped right past me. It was Jim's turn; he tried a newer, more novel approach: he decided on being honest. "Uh, hello. 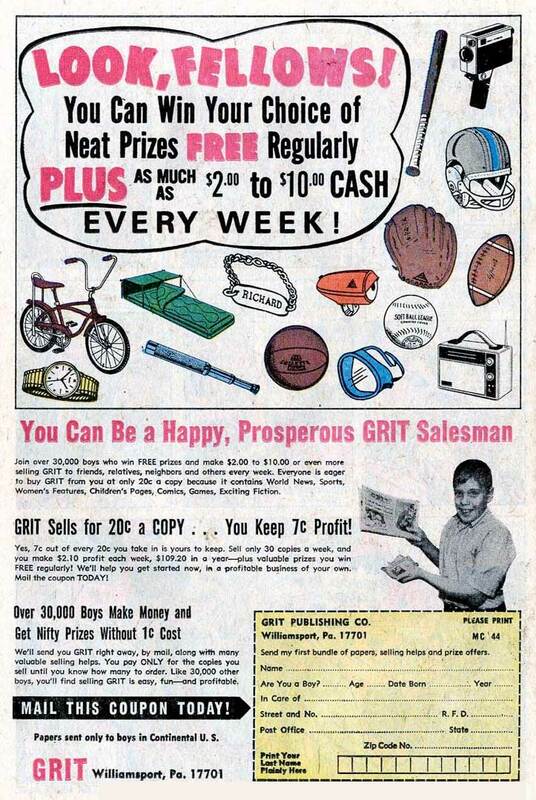 We're trying to make some extra money by selling The Grit newspaper. Would you like to buy a-No? Oh, okay, thank you." The door shut. So much for the honest approach. Our lives were all about doorbells. We heard more bells than Quasimodo. The asphalt never felt harder, and the streets were never longer. 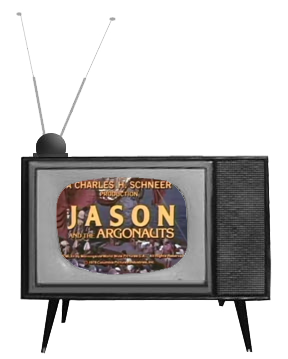 The scent of wood smoke from fireplaces made me think of warmth, and home, and TV, and ultimately, Jason and the Argonauts. (I'd envisioned people actually using the Grit paper as kindling for their fires). A truck zoomed by blasting us with a frigid breeze in its passing. In the real world people were laughing, being indoors sans-runny noses and frigid fingers. They had lives beyond the bitter tomb of The Grit newspaper. As our dreams of riches and fame soared away with the winter birds too smart to hang out in Southeast Portland in late November, we realized that perhaps some things were not meant to be. The Grit was one of them. The time came for us both to head back to Jim's house, disengage, and re-pack some newspapers. As the afternoon waned, and the cold seeped into the marrow of our souls, we had an acquired work ethic, and some new muscles from lugging hundreds of Grits all over Southeast Portland. By three o'clock we decided that selling The Grit wasn't really a logical career path. Did we make money? Yes, we made seven cents. Combined with the twelve cents I already had in my pocket, it was time to liquidate our combined fortunes. 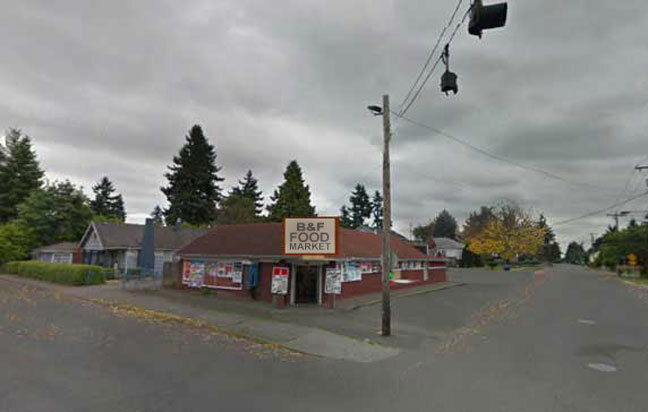 Our seven-cent fortune along with my petty cash reserve of twelve cents was spent at The B&F Market on the corner of Southeast Sixtieth and Flavel. The cold, The Grit, and our own stamina had defeated us. At my house we chomped Atomic Fireballs and pulled red licorice while watching Jason and his Argonauts defeat the best creatures ever to grace an ancient Grecian landscape. We learned a valuable lesson that day. Not everything was as easy, or smooth sailing as it appeared, and each undertaking must be met with an equal amount of research or consideration. However, there was no information super-highway in those days, so we just had to follow our guts on what was the right thing to do. Lessons came a little bit harder then, but had so much more value. As I think about this event now, we actually did make a fortune that day in the sense that we spent a day together. I have no knowledge of The Grit newspaper; all I know is that we couldn't sell it which is not to take away from the publication, but to highlight our inexperience. School was in session the following Monday, life went on, and sadly, we both grew up.